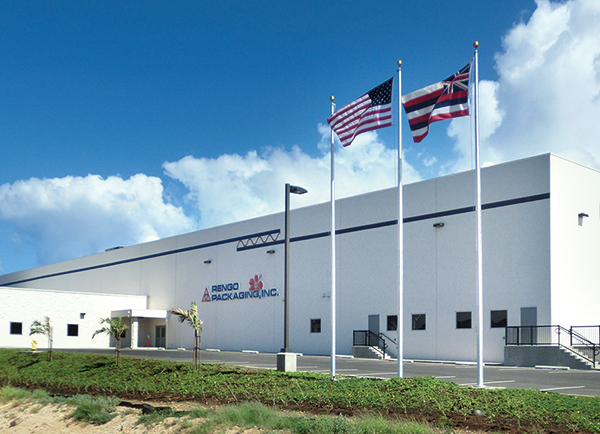 2010-The “General Packaging Industry (GPI)” Rengo | Company | RENGO CO.,LTD. 2015 Completed containerboard machine (Paper Machine 8) at Marusan Paper Mfg. 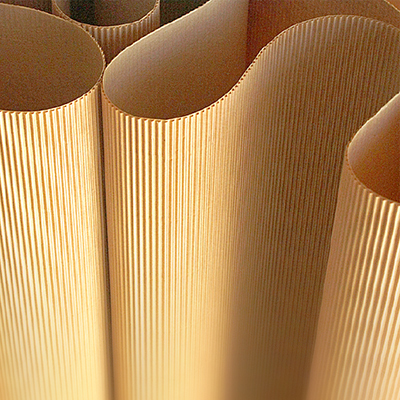 Co., Ltd.
"Less Weight, Less Carbon" is one of the key phrases of the Rengo Group, where we aim to make ideal corrugated board that is light, strong, thin, and slimline while also being low in CO₂ emissions and even kinder to the environment. A good example of this is the Fukushima-Yabuki Plant—the ideal corrugated plant for the 21st century for the production of "Less Weight, Less Carbon" corrugated board—which opened in May 2010 at Yabuki-machi in Nishishirakawa-gun, Fukushima Prefecture (Photos 30 and 31). 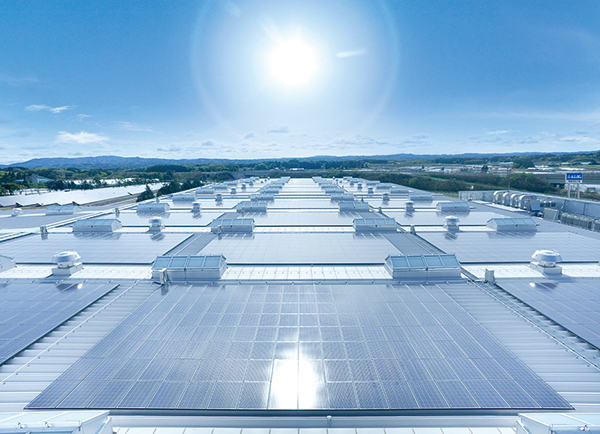 This plant features a total of around 9,000 solar panels that supply solar power for all of the plant’s daytime electricity needs and also uses liquid natural gas (LNG) for the boiler fuel. 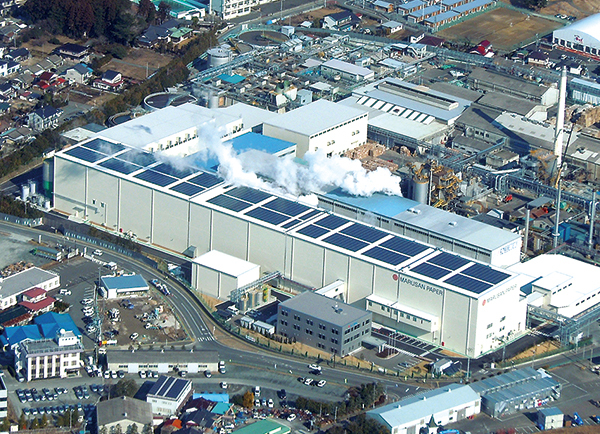 The Fukushima-Yabuki Plant represents the crystallization of Rengo’s expertise in environmental technology in relation to resource and energy conservation that has accumulated up until now, and also serves as a symbol for Rengo, which views the preservation of the global environment as our most important management task. 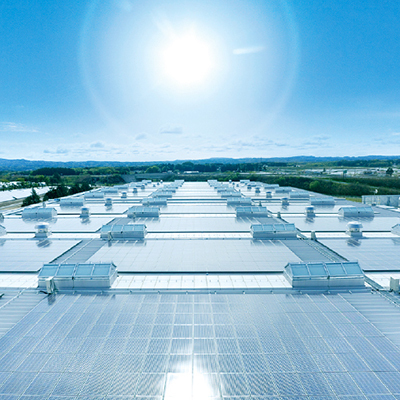 As a top environmentally friendly corrugated plant with a focus on preventing the effects of global warming, the Fukushima-Yabuki Plant contains state-of-the-art facilities with high energy conservation abilities as well as an advanced production management system. By carrying out integrated production of a variety of products ranging from high quality corrugated boards to various types of corrugated boxes, and by implementation of thorough environmental measures, CO₂ emissions have been reduced by around 40% compared to the previous plant (before the plant was moved). The Rengo Group continues to provide optimum packaging that is highly efficient and kind to the environment in terms of the conservation of resources and energy, as part of the Less Weight, Less Carbon project. In order to make corrugated board even lighter, we have already developed Less Caliper & Carbon (LCC) containerboard and are promoting C-flute corrugated board. On March 11, 2011, the Great East Japan Earthquake occurred, with its seismic center off-shore of Sanriku, Miyagi Prefecture. 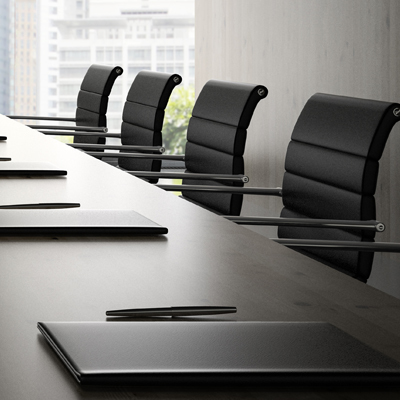 Devastating the region, this disaster also brought serious damage to the Rengo Group. The Sendai Plant in particular suffered extensive damage, and Marusan Paper Mfg. Co., Ltd. in Minamisoma-shi, Fukushima Prefecture, was forced to cease operations for more than three months due to the incident at the Fukushima Daiichi Nuclear Power Plant. In March 2012, to make it clear that we will not abandon Miyagi, reconstruction of the Sendai Plant as the Shin-Sendai Plant (Photos 32 and 33) was achieved in a mere one year, ensuring a place of employment, and leading the way for the recovery of the local economy. 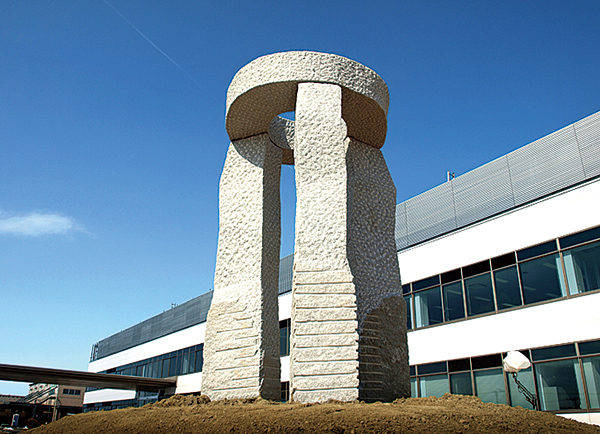 The “Isshin no To (Tower of Unity)” monument―which represents the bonds between people who are united in working toward the reconstruction and revitalization of the affected areas, as well as hope for a bright future—continues to look over the lively Tohoku region today. Photo 33: "Isshin no To (Tower of Unity)"
In April 2011, while people were still feeling uncertain due to the Great East Japan Earthquake, Rengo announced the new corporate statement of being a “General Packaging Industry (GPI)” with a view of the next 100 years. The General Packaging Industry Rengo started on a new path as a corporate group that creates new value in packaging in a wider range of fields and actively proposes solutions to fulfill all the packaging needs of various industries through continual changes in thinking and innovation focuses on its six core businesses—paperboard, corrugated packaging, folding cartons, flexible packaging, heavy duty packaging, and overseas business. 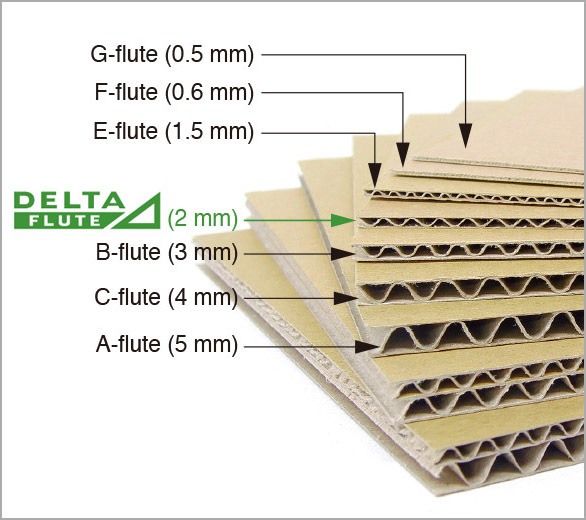 In April 2013, Rengo developed the unique Delta Flute, a new standard for corrugated board. Delta is represented by the letter D in Greek, and Delta Flute is the fourth thickest flute following A, C, and B flutes. The name Delta Flute includes our hope to spread across the world from the perspective of innovation and global environmental conservation as we continue to lead in various innovations. With the development of Delta Flute, Rengo further evolved “Less Weight, Less Carbon” to make “Less is more.” the central theme of our business activities, making clear our stance to work on innovative packaging, generating more value using less resources. Namely, Rengo will focus on the following. This is how the Rengo Group aims to contribute toward developing an even better society through effectively using resources, reducing impact on the global environment, and producing high-quality and high added-value packaging. 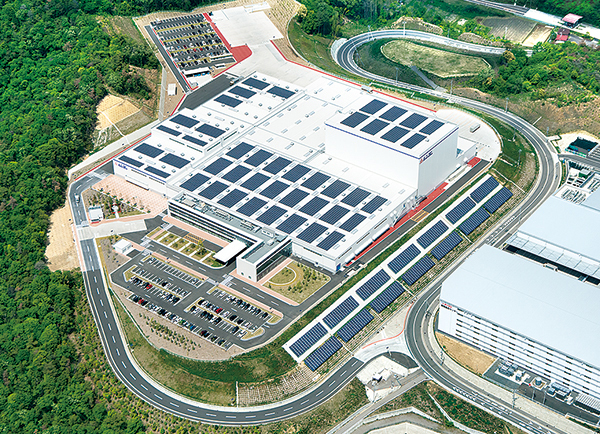 In January 2014, Rengo completed the Shin-Nagoya Plant (Kasugai-shi, Aichi Prefecture) that exemplifies “Less is more.” Besides ample consideration being given to the environment at the new plant, including the introduction of photovoltaic power generation systems, the plant has been fitted with many such leading-edge technologies and design innovations meant to help protect the global environment, such as the first seismically isolated automated warehouse at a Rengo corrugated plant, which has been installed in order to accomplish efficient inventory management and improve safety during distribution work. 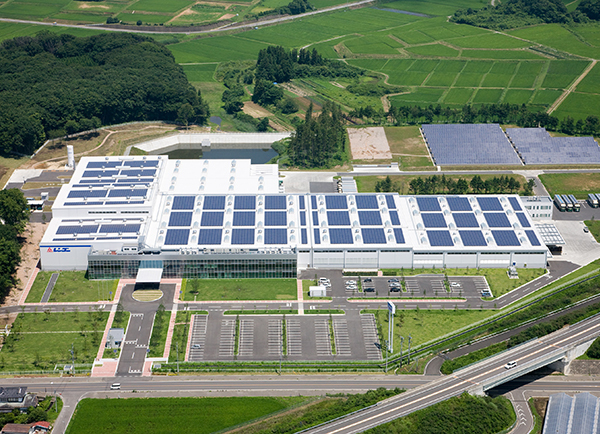 The plant provides full support in the field of packaging to the economy of the Chubu region, where increased development is expected due to the Linear Chuo Shinkansen that is planned to run directly under the plant. On March 3, 2015, a new containerboard machine (paper machine) was completed at Marusan Paper Mfg. Co., Ltd., a Rengo Group company located in Minamisoma-shi, Fukushima Prefecture 25 kilometers from the Fukushima No. 1 Nuclear Power Plant. 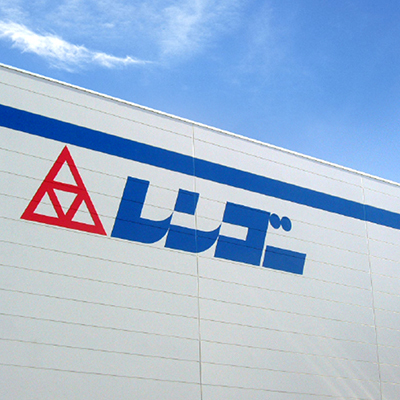 As a core company in Minamisoma, Marusan Paper can be said to be the heart beat of the city itself. 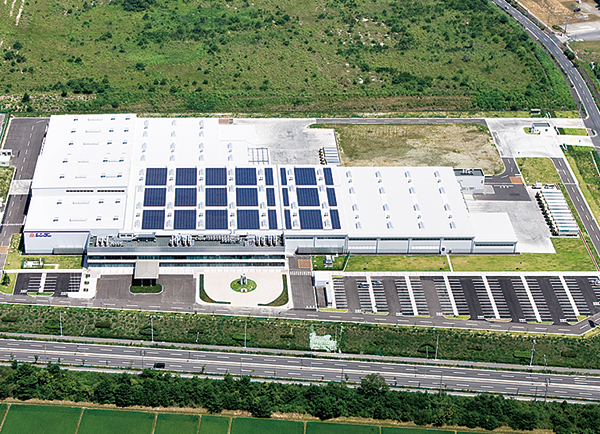 Four years after the Great East Japan Earthquake, the new paper machine links the city to its future together with the people of Minamisoma working fully toward reconstruction and revitalization. 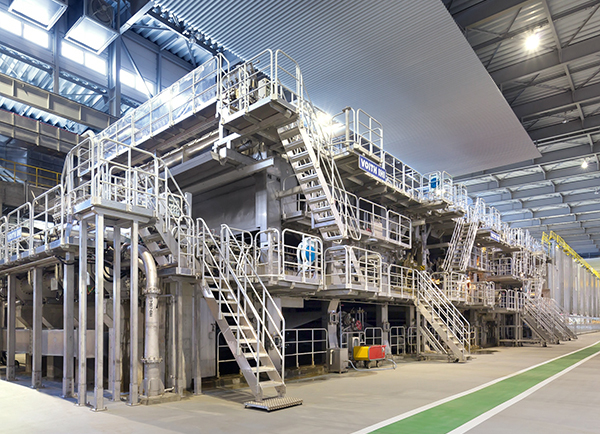 The Rengo Group places emphasis on reconstruction of the Tohoku region, working quickly to rebuild our Sendai Plant destroyed by the tsunami, and construct this new paper machine. This is with the view that securing employment will give people peace of mind and bring perpetual prosperity of the region, and we firmly believe the steadfast reconstruction of the Tohoku region will lead to improved productivity in Japan as a whole. The new paper machine exemplifies “Less is more.”—it boasts the highest quality level in the world, responds to the rising demand in recent years for lighter containerboard due to environmental concerns, and seeks to be thorough in saving energy and resources. Photo 38: External view of the new PM8 building at Marusan Paper Mfg. Co., Ltd. 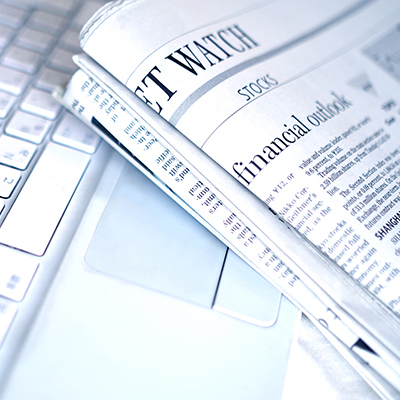 In October 2016, Rengo made Tri-Wall Holdings Limited into a Rengo subsidiary. Tri-Wall Holdings is a holding company of the Tri-Wall Group, which owns global heavy duty corrugated packaging brands including Tri-Wall Pak® and Bi-Wall Pak®, with business centered on countries in Asia and Europe, and boasts of the world’s number one performance in the heavy duty corrugated packaging sector. The enhancing of the Group’s line-up of heavy duty corrugated packaging as well as the achievements and experiences of the Tri-Wall Group with businesses deployed around the world became a great step forward in the globalization of the General Packaging Industry (GPI) Rengo. No matter how great a product is, its value cannot be put across to people without the packaging wrapping it. Over time, in addition to their fundamental functions of product packaging and protection, corrugated board and other packaging materials have incorporated decoration and printed information on their surfaces. As such, they have the potential for further advances in the future as tools enabling people to communicate with one another. 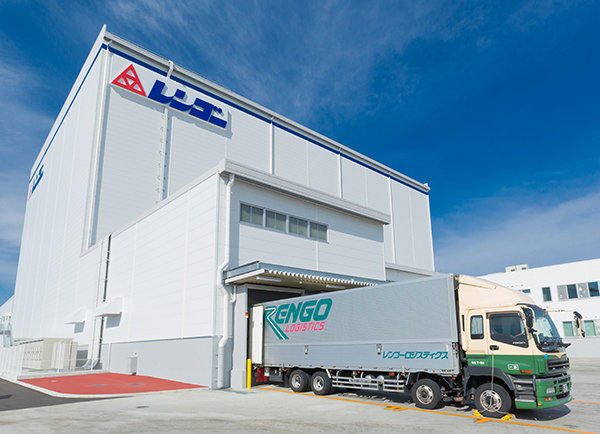 As the “General Packaging Industry (GPI)” Rengo Group that creates new value in packaging in a wider range of fields and actively proposes solutions to fulfill all the packaging needs of various industries through continual changes in thinking and innovation, the Rengo Group will continue to be active and take on new challenges, both in Japan and worldwide, to be able to respond with an even more global system that focuses on its six core businesses—paperboard, corrugated packaging, folding cartons, flexible packaging, heavy duty packaging, and overseas business.